Albion Mews is rather typical of its kind — hidden just behind the busy Bayswater Road, it has the peace and privacy of so many London Mews. Cobbled and leafy, one could be in another world “rus in urbe” — with Marble Arch only five minutes walk away. Half way along is number 18, Lucie Rie’s home and studio from 1939 until her death in 1995. It is an attractive dark brick house with a narrow front door, and a spacious window to one side — where the garage doors were — and above, smaller windows climbing up to a steep gable. It all looks a little balder, now that the thickly growing creeper has been stripped away, but it still more resembles a cottage than a city studio. 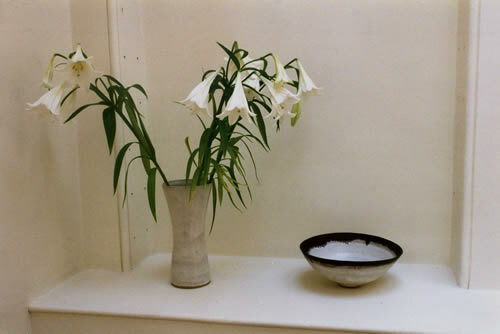 Behind this anonymous facade, anonymous like other artists’ places in London (one thinks of Bacon’s house in Reece Mews, or Lucian Freud’s rooftop in Holland Park), a steady stream of pots were made over a period of some fifty years, only interrupted by the advent of a war. Despite such creative continuity, all those days of rising early and going down to the wheel — and then that endless flow of students, friends and other visitors knocking on the door, the house possessed a particular, almost Cistercian, quality of silence. Perhaps it was the silence of a near-monastic dedication to work, of being faithful to a vocation. 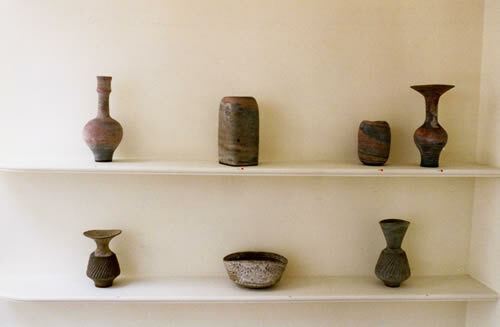 Lucie did not travel or concern herself with ceramic debates — not out of insularity — but because she knew that when the journeys and talking are done, one still has to make, and for her the pot was what mattered most. For all those visitors, Albion Mews was more than a potter’s home. It provided a true insight into Lucie’s quiet 20th century vision, which George Wingfield Digby so perceptively dubbed “metropolitan”. She left one city for another and Albion Mews revealed this particular emigré’s aesthetic credentials — Ernst Freud’s simple interlocking spaces that made a mews house seem surprisingly spacious, and then the famous Plischke furniture that Lucie brought with her from Austria. And yet in leaving Vienna, a city which she viewed with increasing antipathy, she would soon find her own Modernist sensibility, perhaps as much to do with post-war London as with her mid-European roots. 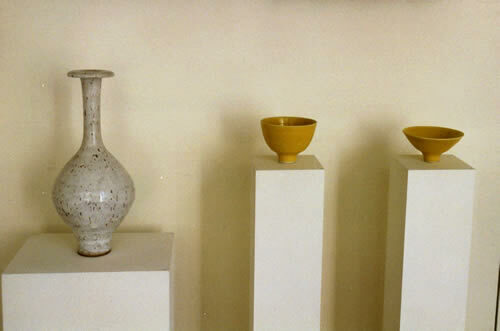 Her interest in ceramics was animated by a deep and wide ranging commitment to its context — in her case not just to the spare lines and abstract spaces of the Modern Movement, but to the actual day-to-day experience of such a culture. Talking about architecture and design (she viewed Prince Charles’s opinions on these subjects with disdain) was always preferable to a conversation about pots. 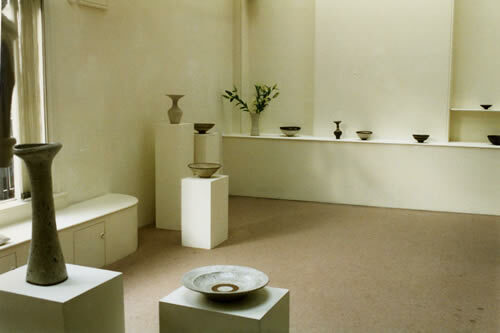 Perhaps this is why those recollections of Albion Mews — its white walls, its particular light, and the sensitive spacing of objects within that light (the arrangement of furniture, the Leach jug by the back window with the trees beyond, the Coper pots full of flowers on the shelf) — can help us to begin to understand what Lucie Rie’s work is about, and where its provenance lies.